It took a ridiculously long time for travelers to realize that suitcases were heavy and maybe should have wheels on them. (Why did that take so long??) Luckily, the learning curve has sped a bit and the next generation of suitcases for lazy people is here. 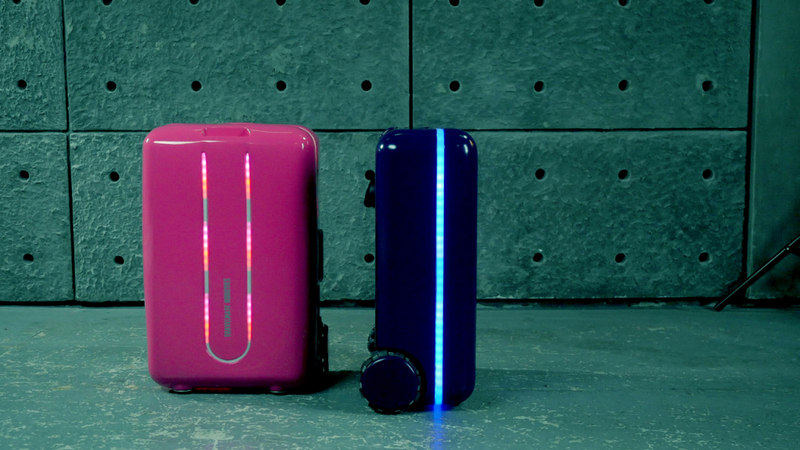 The new Travelmate suitcase uses artificial intelligence to navigate through crowds and follow you around the airport. It’s fully autonomous, so there are no hands required, but a smartphone app is necessary. The smart suitcase was funded via an Indiegogo campaign, but now is up for sale for $399, $495, and $595 depending on the size. The TSA-compliant suitcase stays juiced up for four hours while in use or 100 hours on standby mode and comes with a USB port for recharging. The suitcase trucks along at a steady clip of 6.75 miles per hour, which is just fast enough to make sure everyone at the airport is not quite sure what they just saw. The suitcase can charge your gadgets, carry your tote, and there’s even a Go Pro ready camera mount near the handle, too, because this is the future and it must documented on Instagram. Don’t worry about someone walking off with your investment suitcase, either, because it comes with a built-in GPS tracker and can lock and unlock using a fingerprint. According to Conde Nast Traveler, Travelmate isn’t done innovating with suitcases. Their next step is to add a voice assistant that will allow you to book a ticket or find a nearby restaurant, just by talking to your suitcase, which will definitely not make you look like a crazy person.